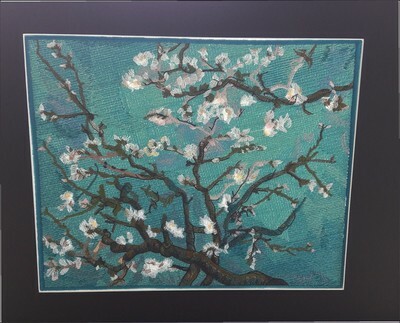 I embroider this design "Amandelbloesem" van Van Gogh (Almondblossom, Van Gogh) from Embroidery Librairy, but I change the color, because the color used, were not the right colors. These colors are almost the same as the real painting from Van Gogh. Which you can see in the Van Gogh museum in Amsterdam. Heel mooi en de kleuren zijn geweldig! Wow!! !Awesome job done....Great design!! !So Beautiful!!! That is a time consuming and tedious effort on your part to complete this. Your results really do reflect Van Gogh's work and is a work of art in its own right. Good job! Beautiful stitch out...Welcome to Cute! Very nicely done! What is the size? The size is 21.5cm x 27 cm. Divide by 2.54 to get inches, so it is roughly just over 8" by scant 11". I need pen and paper to get more accurate then this. Well done and welcome to Cute Embroidery! 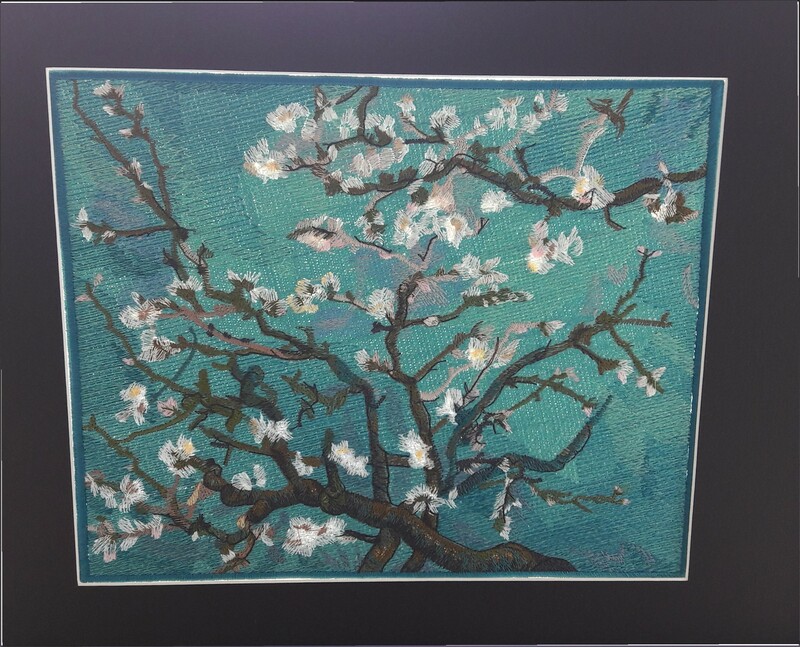 This is absolutely gorgeous...….great job.....how long did it take to stitch?